- Tempered Glass Vessel Sink. - Tempered Glass is 5x Stronger than Normal Glass. 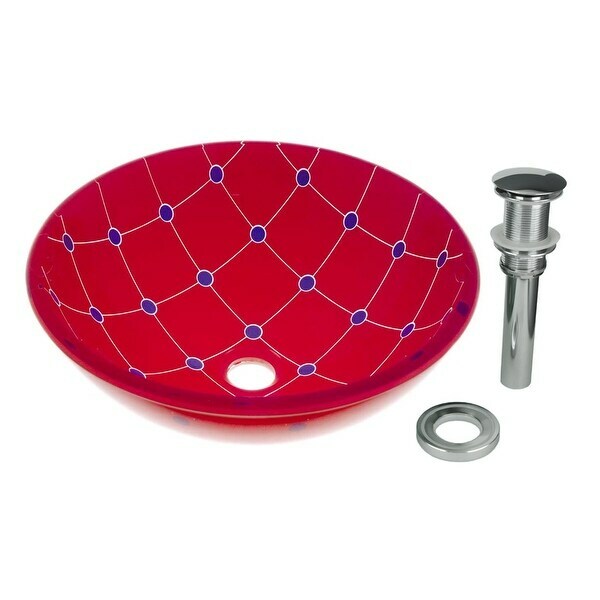 - Red Spiderweb Design Bowl . - Coordinates with a Contemporary or a Vintage decor. - Mounting Ring, Silicone Gasket included. - Measures 16.5 in. dia. x 6 in. deep x .75 in. thick. Dimensions 16.5 In. X 16.5 In. X 6.75 In.